“Awesome! Another login screen,” said no one — ever. If you log in to more than one application a day, you know how painful it is to manage all those passwords. 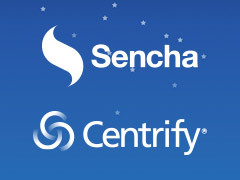 Join us as we discuss how Sencha integrates with Unified Identity and Single Sign-On provider Centrify to create a seamless login experience for your users — across all their devices. We’ll also be discussing today’s most pressing issues around application, data, and user mobility in the enterprise. We are pleased to present this webinar in cooperation with Centrify, a leading provider of Unified Identity Management services across data center, cloud, and mobile infrastructure. Organizations face significant challenges around mobility and security. Today’s multi-platform, multi-device environment can make enterprise application and data mobility expensive and risky. Today’s dynamic workplaces and hyper-competitive markets drive demand for more mobile productivity solutions. However, organizations struggle to deliver these solutions in a secure, scalable, and cost-effective manner. In this webinar, you will learn how technology from Sencha and Centrify can help you create a secure, scalable, and cost-effective long-term mobility strategy. Using these solutions, your team can focus on its core competency, accelerate your entry to market, and manage both cost and risk. Nick is a seasoned technology professional with over 16 years of experience delivering innovative software solutions for both small and large organizations. 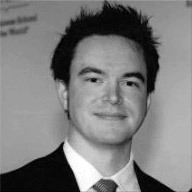 Prior to his work at Sencha, he held product management and engineering roles in IBM’s Security Systems division with a strong focus on identity and network security. He holds a B.S. in computer science from Stanford University and an MBA from INSEAD. 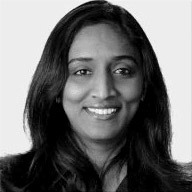 Sumana is a technology professional with several years of experience in Identity management, Networking, Security, and Mobile app development. In the past, she worked at Silicon Valley startups like Aeroprise (which got acquired by BMC) as well as large open source organizations like RedHat.